April 24th 2015 marked the day that Apple released their new Apple Watch but it wasn’t until June 3rd that Apple Watch day arrived at Idea Rebel. 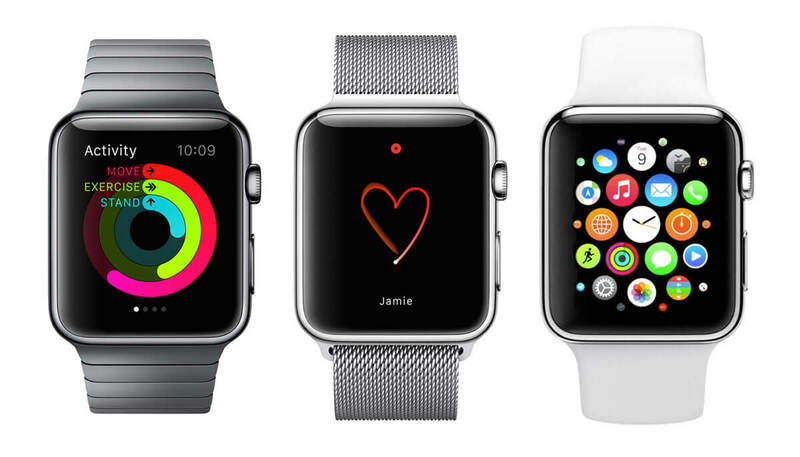 The Apple Watch is definitely ahead of the game in the smart watch wars, so far. Even though the Apple Watch is still in it’s early stages it shows a lot of potential for the next generation of smart technology. Their heart rate sensor is only the beginning of the technology that’s to come in the future. Remember this is only Apple’s first shot at a smart watch and if we know anything about Apple, this is definitely only the beginning! Although there aren’t many third party apps available for the Apple Watch yet, there is a lot of potential for companies and developers to create unique experiences for consumers. Over the next six months marketers will now not only be thinking about how to get consumers to download their mobile apps but also how to get them to download their Apple Watch apps too. Marketers need to remember that in order for the Apple Watch to work there has to be an iPhone nearby, so rather than coming up with a whole separate app for the Watch they should see the Watch as an extension for their current mobile apps. This is where Idea Rebel comes in. Last week we received our first Apple Watch and we have to say we were very excited! Here at Idea Rebel we understand that technology is constantly changing and we want to keep ourselves ahead of the game. Not only are we excited for the current technology on the Apple Watch but we are also excited to see what we can do with it and what cool and intuitive experiences we can create for our customers. Idea Rebel wants to push the boundaries on technology and user experiences and now with the Apple Watch we feel we will have even more opportunities to do just that! Screen Size: 32mm – 42mm. Screen Case Options: Silver Aluminium or Space Grey Aluminium. Band Options: Sport Band (5 colours available). Screen Case Options: Stainless Steel or Space Black Stainless Steel. Band Options: Sport Band (2 colours), Classic Buckle, Milanese Loop Band, Modern Buckle (4 colours), Leather Loop (4 colours), Link Bracelet or Stainless Steel Link Bracelet. Screen Case Options: 18-Carat Rose Gold or 18-Carat Yellow Gold. Band Options: Sport Band (2 colours), Modern Buckle (2 colours) or Classic Buckle (2 colours).